Having spent a day at the orphanage and a day exploring the town of Miragoane, it made me think about my life as an American. We have all seen images on television or in a magazine of people living in poverty. Most of us feel badly about their situations. Some even help by donating money or time, but the majority of us just turn the page or look away. It’s completely different when you experience it firsthand. You can’t just look away. Experiencing it firsthand allows you to see, smell and feel it at a human level. It’s not just an image on a page or a screen, but an actual living, breathing person. When I hugged those children and looked them in the eye you can’t help but have a connection. When I walked the streets and talked to some of the residents of Miragoane, you realize this is real, this is their reality. Day in and day out, this is their life. Most of them lived without running water, indoor plumbing or electricity. Forget having three nutritional meals a day. I am not a philosopher or a deep thinker, but being in Haiti just made me start thinking about my life and how different it would have been if I had been born there instead of America. I’ve always tried to (or thought I was) a person who was grateful for things in her life, but was I really? Of course when good things happened or someone gave me something special, I would thank God for the blessing; but was I truly grateful for my warm apartment, cupboards full of food, nice clean shower and closet full of clothes? NO! I took those things and many more for granted. I really didn’t give it much thought. I just expected that was just the way it was and that everyone lived like that. These people struggled every day of every year just for the basics, let alone anything above and beyond. There wasn’t a giant grocery store on every corner filled with anything your heart desired. There wasn’t a free school for every child to attend. You didn’t see a quick care, a dentist or doctor’s office in the town. But yet, you don’t hear them complaining and feeling sorry for themselves. They just go about their business day after day and do the best they can. Oh, they may follow you and try to sell you something or beg for money, but who wouldn’t do that? It reminded me of my childhood years when we were poor but just didn’t realize it. It wasn’t until I saw what others had or how they lived that I understood that we were different. Is this how they felt? 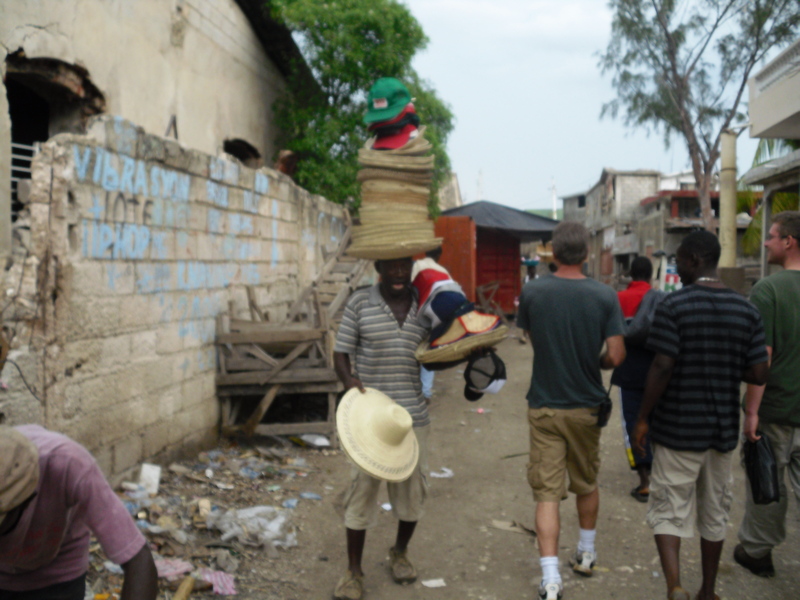 Having been born in a town or village in Haiti and never experiencing anything else, you wouldn’t know any different. It’s not until you see that there is more that you realize you want more. 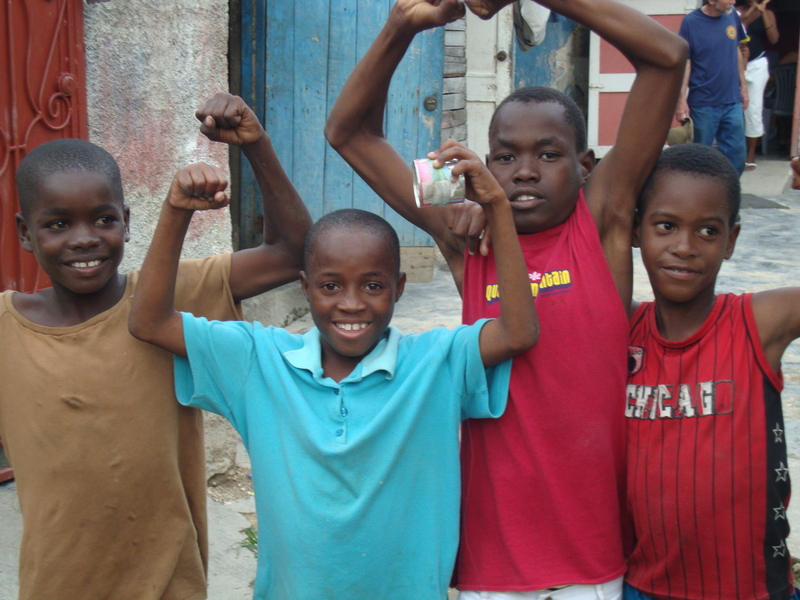 Young Haitian boys posing for the camera. Smiles?? I believe every person deserves to have the basics, food, shelter and clothing. Anything beyond that….I’m no longer sure how I feel. I look at my fellow Americans and see all that we have, and yet most of us are not happy, we want and desire more. However, the Haitians, with many of them living without even the basics, seem to have joy and happiness in their hearts. I just don’t get it???? That is so true. Chris and I were just talking about that same concept. Most people we know aren’t happy deep down. Although, they want for nothing but complain about everything. Just looking at the smiles on those children’s faces puts a smile on my face. Thanks for the reminder that we all should be happy for everything we have and quit complaining about the things we want. Thank you, we all have to be reminded about all we have. We are blessed.